Do two sources of life gain at the same time trigger two counters on ajanis-pridemate? Sure I do, but the suggestions I made was not really meant to just blindly make you pick up the cards I mentioned. I would much rather give you the tools needed to evaluate cards yourself. 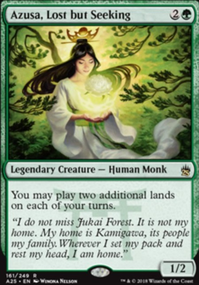 Just needed some examples when explaining why certain kinds of cards are good when it comes to being successful at playing midrange. 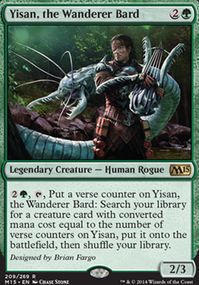 More importantly than what cards I suggest, would be what distribution of threats and answers, what kind of cards to sideboard cards, how your curve should look, where to end it, and why to keep the deck at 60 cards exactly. Let me just quickly get one of these points out of the way. Where to end a curve. In aggro decks, you'll often see the most expensive card in the entire deck being only 2 mana, but sometimes 3 and 4 mana cards are implemented from time to time, (though 4 is pretty rare.) It should really give a good perspective on how fast they try to be when 2 mana is considered expensive in many of these decks. I'm going to split combo decks into two main categories here. Aggressive combo decks, and Controllish combo decks. Aggressive Combo decks, due to their strange nature, can't really be given a curve, just know that if they play really expensive cards, they have a way to get them out fast, either due to fast mana, or some sort of setup that circumvents manacost. Tempo decks, should for all intents and purposes just be treated like aggro decks when you're not really deep into the format. Control will follow the same guidelines as midrange, which I will get into soon, so why bother here. That leaves us with your kind of deck, midrange. 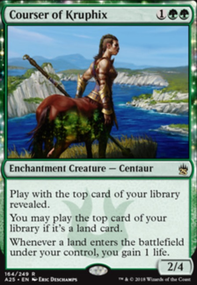 Keeping the majority of your cards on 1-2-3 mana will ensure you get to stay in the game. Then, to really get some payoff for slowing down the game, you can add some cards that go beyond that cost to outvalue the opponent and keep up with other slow decks. I rarely find it to be a good idea to go beyond 5 mana in a modern deck that doesn't ramp, midrange or not, but I have played cards like Grave Titan in Sultai midrange before. The idea behind this is that the extra power level a 6-drop brings to the table, compared to a 5-drop, is rarely worth the extra trouble on casting it. 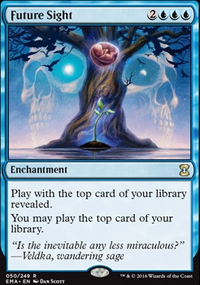 This is due to a combination of the fact that it's all the worse against the fast decks, (where the difference between one and two turns can mean death,) and the fact lands gets exponentially harder to play over the course of the game. But you can play 6-drops, and you can benefit from doing so. 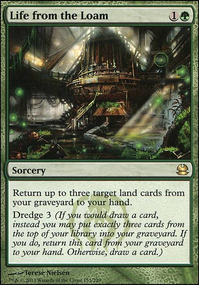 There is no 5-drop in the game that's as good as Grave Titan , so if I make my deck capable of putting in the work to get to it, I can benefit from my patience, by adding such a card, even though it will mean that I will occasionally lose a game due to Grave Titan being a dead draw I just never get to use.